London’s Kevin Reid believes the Exiles’ postponed clash with Mayo could prove to be a blessing in disguise, as London prepare to face Meath in Trim (1pm) in Div 2A. 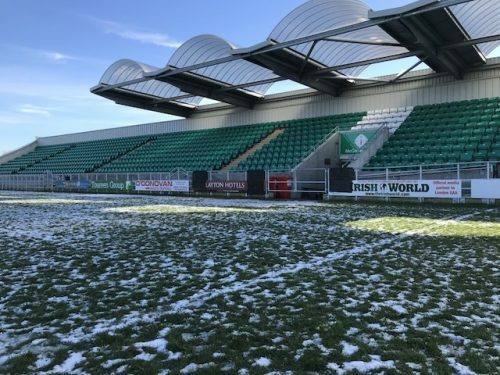 London’s Round 2 meeting with Mayo fell victim to a frozen pitch at McGovern Park and has been re-fixed for 9 March – one week after the group stage was due to compete. Shane Kelly’s side will therefore know exactly what they need to do, should their Division 2A status still be on the line by then. Comparisons with 2018 are inevitable therefore. On paper, Kildare offered London’s best chance of a win in last year’s league campaign. The sides didn’t meet until Round 5 by which stage Fergus McMahon’s Exiles had four games under the belt. London duly beat the Lilywhites by seven points at McGovern Park to retain their Div 2A status, and send Kildare down. “Kildare was the game we needed to get something out of, and we felt it was our best chance,” added Reid. “The more games we have will suit our preparation better, as will having Mayo last. We’ll be going into it having played four games and the team will have had the chance to gel together. That’s not to say that relegation will automatically be a straight shoot-out between London and Mayo, as it was with Kildare 12 months ago. Mayo showed enough in their Round 1 draw with Meath to suggest they have no intention of returning to Division 2B without a fight. Meath are London’s next opponents, when Kelly takes his charges to Trim on Sunday. 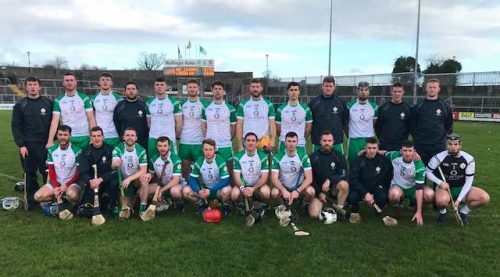 While London had to make do with an impromptu training session in Greenford, following the postponement of their game with Mayo, Meath were busy putting it up to Antrim, only to go down by a solitary point (3-13 to 2-15) in Trim. And Reid needs little reminding of the last time the Exiles crossed swords with the Royal County – London ending up on the wrong end of a 1-24 to 1-14 scoreline at McGovern Park in the league last year. Meath will be just London’s second competitive game of 2019, but Reid has been buoyed by the Exiles’ showing against Westmeath, who reached last year’s Joe McDonagh final. Westmeath left it late to take advantage of a strong wind at their backs in the first half to lead by 1-12 to 0-4 at TEG Cusack Park, Mullingar. But London could draw some solace from winning the second half to eventually go down by 2-17 to 0-15. “We were just trying to hold them in the first half. We dropped one of the midfielders (Cormac Thornton) back as a wing back, and Killian Burke then played as a sweeper behind the half backs,” said Reid. “We were trying to nullify them as much as we could and keep them scoreless, but unfortunately they got a goal just coming up to half-time and then they tagged on a couple of points. “But the lads responded well, the forwards put in a serious shift after the interval and we won the second half. The game also saw Reid don the number three jersey and line out at full back in place of the unavailable Brian Regan, who Reid describes as a “massive loss” to the team. Last year, Regan and Reid, playing centre back, provided the spine of the team, and he admits it’s going to take “a bit is getting used to”. “It’s not somewhere I’ve played an awful amount, but we’ll see how it goes,” he said. Westmeath also saw the Exiles give debuts to former Limerick hurler Conor Allis, who’s been hurling for Sean Treacys, and Jesse Kennedy, who helped St Judes reach Dublin SHC finals in 2015 and 2014. Last year, Daniel Glynn was to the fore as Roscommon avoided relegation from the Christy Ring, while Cillian McSweeney has been hurling for Carrigaline in the Cork Premier IHC. “There’s been some big additions…..they’ve settled in great. 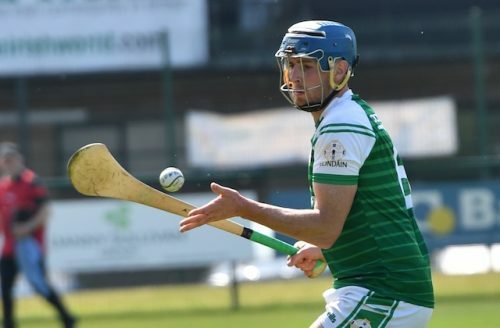 The performance was good and it’s encouraging….it seems to be coming together,” said Reid, who sees a lot of potential in the panel, the bulk of which remain from the side which reached last year’s Christy Ring Cup final. “We felt as a group that we left last year’s Christy Ring final behind us. We feel we’re well capable of getting back there again, and that’s where we want to be. For Reid, Sunday is once again all about the performance. And if it’s good, then maybe it will be enough. “If we also manage to get something out of it that will be great. Hopefully we will,” he said.